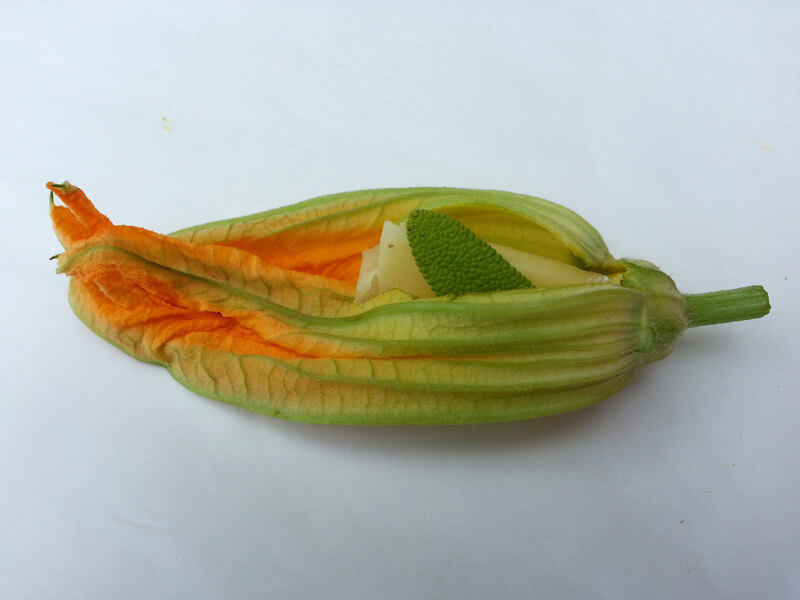 Zucchini blossoms seem to me the embodiment of summer. Their time is short, their flavor delicate, their essence as ephemeral as summer itself. 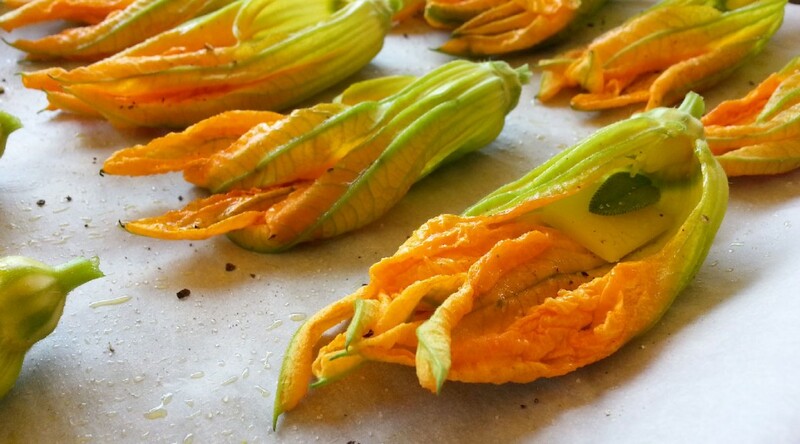 And while I love deep fried zucchini blossoms (I dredge them in a batter of sparkling cold water and flour, barely beaten so there are still a few lumps left), baked zucchini blossoms are an everyday indulgence I feel far more virtuous bringing to the table. 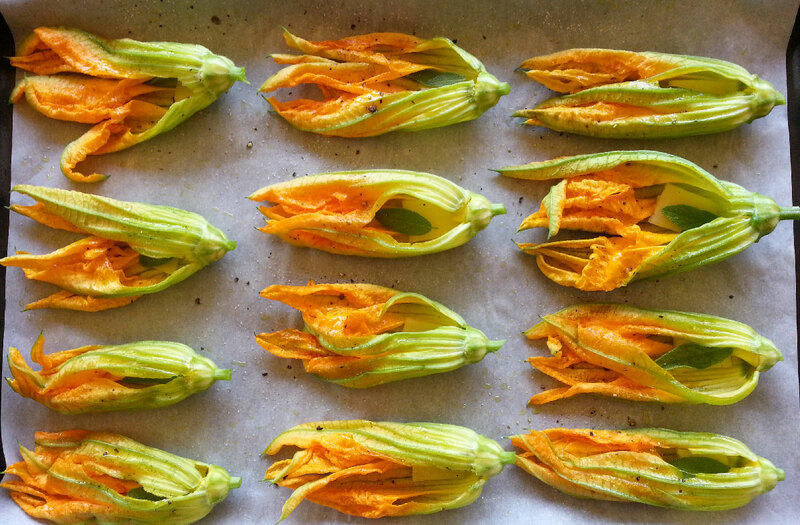 When it comes to zucchini blossoms, less is more: less stuffing, less salt, less cooking allows their gentle flavor to shine through. 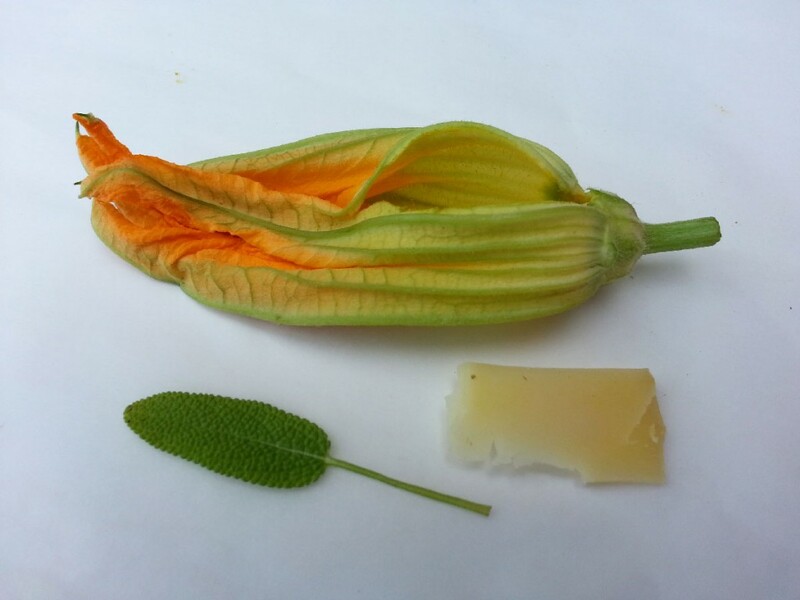 So even though it may seem like the cheese stuffing is skimpy, it’s not; it’s just enough to give a luscious melting quality without overwhelming the floral flavor of the blossoms. 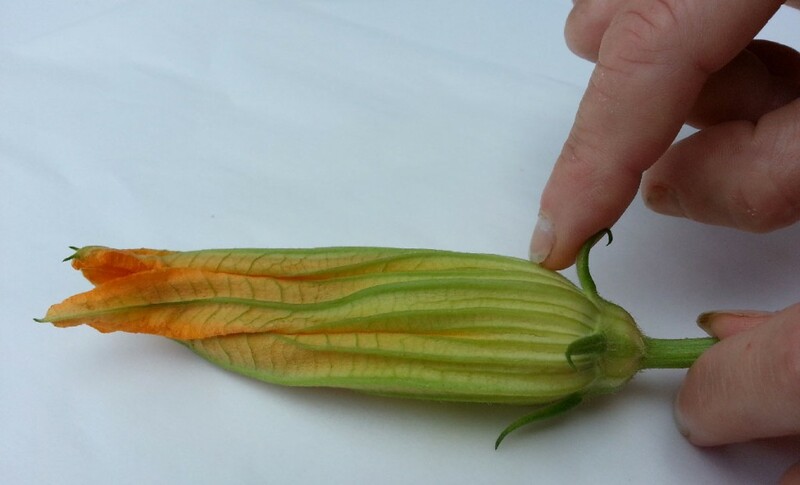 Trim each zucchini blossom carefully by first removing the small dark green leaves at the base of each blossom and then trim away the long stem so there is only about 1/4-inch left. 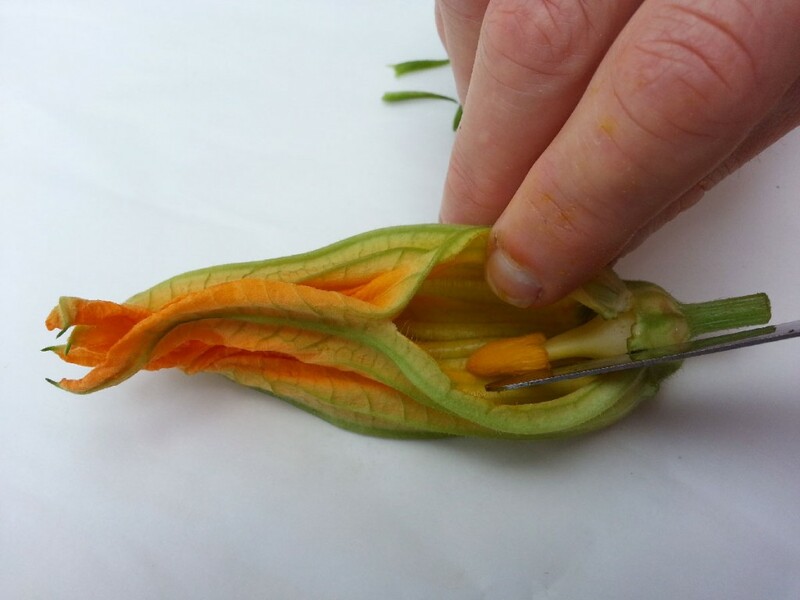 With a paring knife, make a small vertical incision at the base of the each blossom and with your fingers pull out the stamen or pistil. It tastes bitter so it must be removed. Gently rinse the blossoms under running water (there are often little insects lurking inside) and place on a layer of paper towels to dry off. 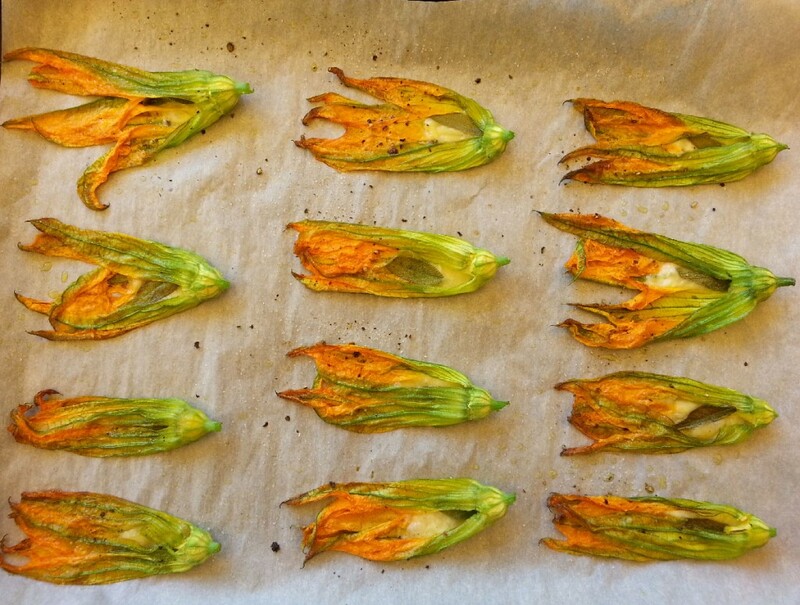 The blossoms need to be dry before they are baked or they will steam rather than turn golden and crisp at the edges. 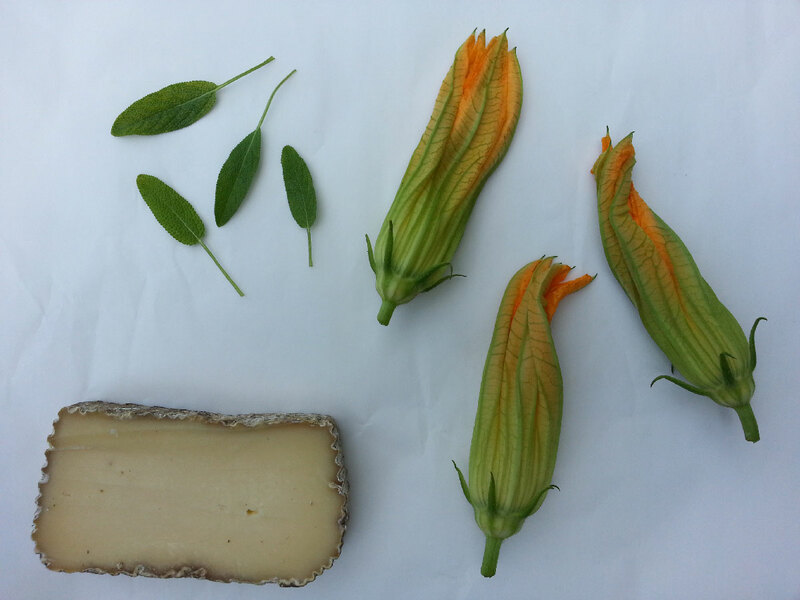 Stuff each blossom with a slice of Fontina and a sage leaf. 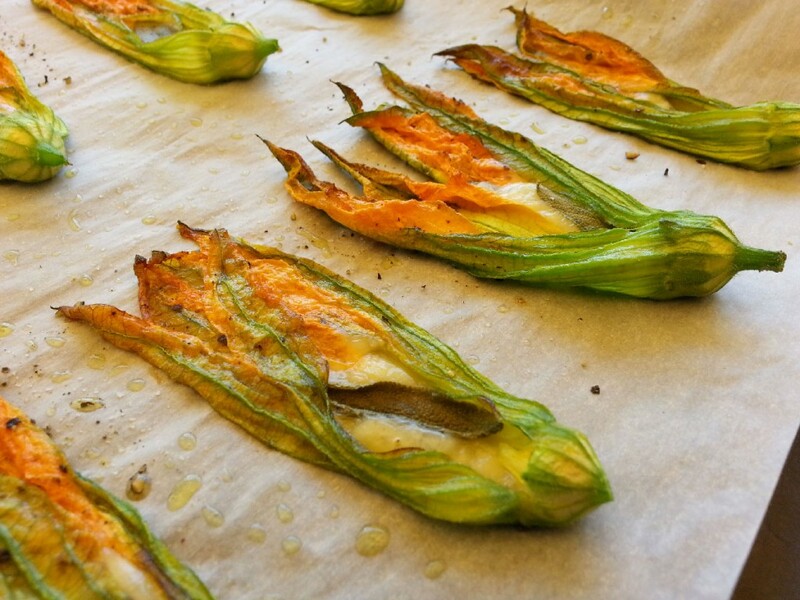 Oil the parchment paper lining the tray and place the stuffed zucchini blossoms on it, with the opening facing up. 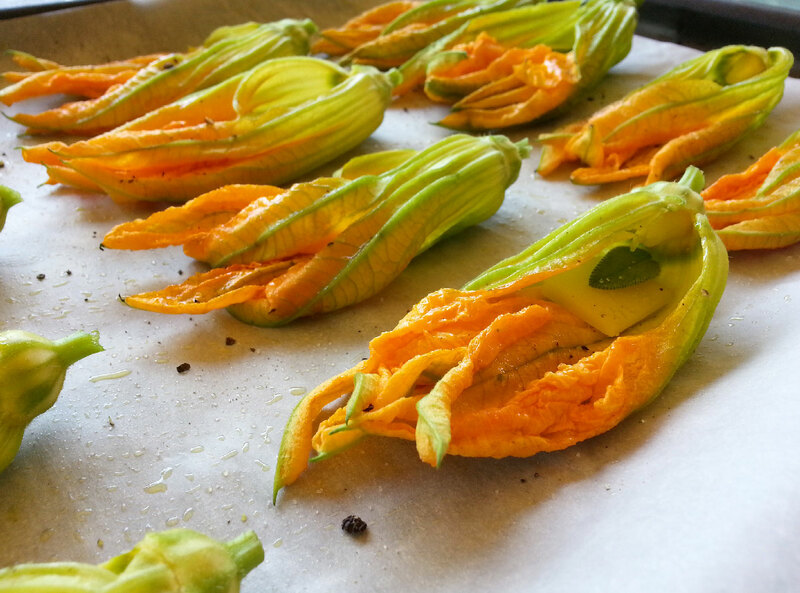 Using a pastry brush, brush with olive oil. 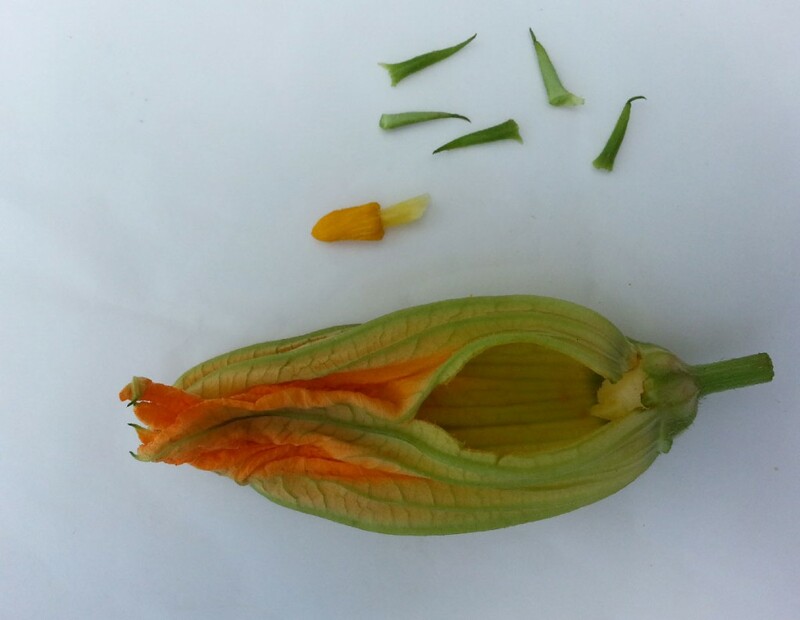 Season very lightly with salt and pepper. Bake in the preheated oven for 10 to 12 minutes, or until the Fontina melts and the blossoms are golden. Serve hot.